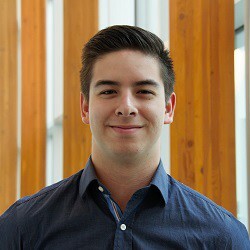 Landon Jackson is a 2nd year student in Chemical Engineering currently on a Co-op position at Ballard. Even though it is his first year as part of Envision, he is already having a profound impact on the automated brewing project, BioT, previously CHBeer. Within a few months of becoming lead, CHBeer has already synthesized an industrial standard product and gained department and international recognition. He is committed to learning more about the unit operations and chemical processes and their applications within the industry. Landon is dedicated to to his team and believes that hard work and perseverance are key to success.